RUSSIAN and FORMER SOVIET UNION AIRCRAFT WITH WW2 FIGHTER PERFORMANCE FOR GENERAL AVIATION USE. 2 To be the only supplier of YAK aircraft and Engines in the UK by having the smallest of profit margins, bringing to general aviation aircraft where cost was not a consideration in the design and manufacture. 3 To provide high-quality, military specification aircraft to general aviation. 4 To be a one stop shop -offering advise, aircraft sales, service and brokerage. 5 To use our twenty two years of international experience to provide you with an unsurpassed service in the UK and Europe. As market leaders, we have supplied more Yak aircraft than anyone else worldwide. Our long established unique contracts with Ukrainian and Lithuanian military provide us with a strong infrastructure which ensures that we can maintain our high standard of supply and servicing now and for the foreseeable future. 6 To provide a timely service and guaranteed delivery dates. 8 We are taking bookings for the overhaul of your YAK 11, YAK 12, YAK 18T & A, YAK 50, YAK 52, 54, or 55. 9 Flying to visit YAK UK at Lt Gransden airfield (EGMJ) instructions. Important statement from Termikas. 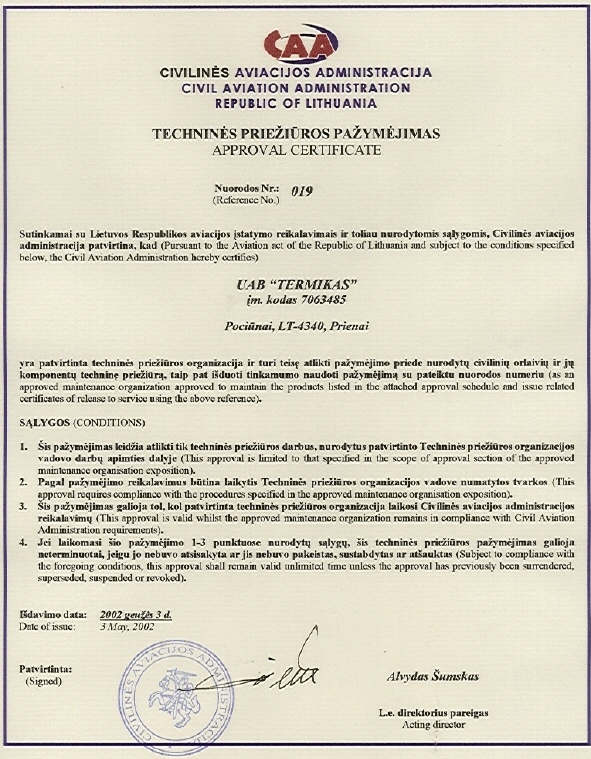 Yak UK Ltd work in partnership with Termikas, who are based in Lithuania Termikas are EASA 145, LY-CAA & HA CAA approved for overhauling the YAK 12, 18T, 50, 52 & 55 series of aircraft, as well as the Wilga and many gliders (both glass and metal) Our offices and records are open to audit by any Civil Aviation Authority within EASA. We will also make records available to our customers upon request. 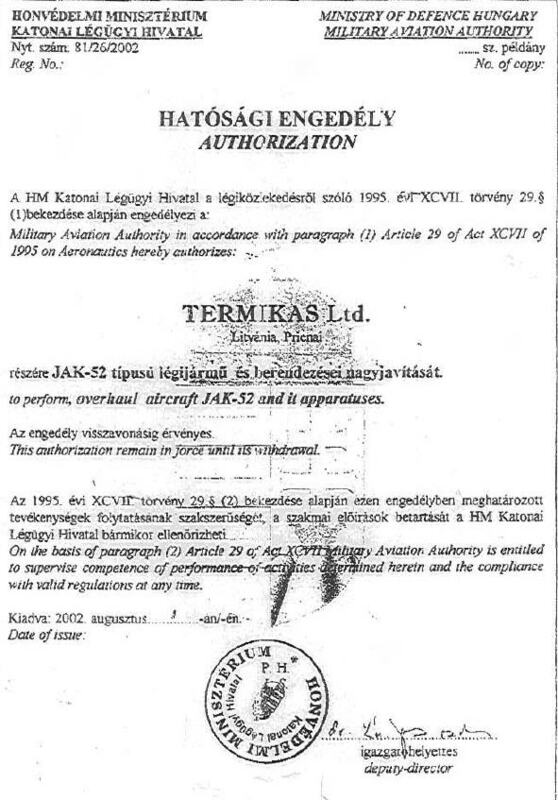 No other company supplying and maintaining YAK aircraft at this time is willing or able to do this as they are not following manufacturers overhaul instructions. We are the only company in Europe with the OEM overhaul documentation. 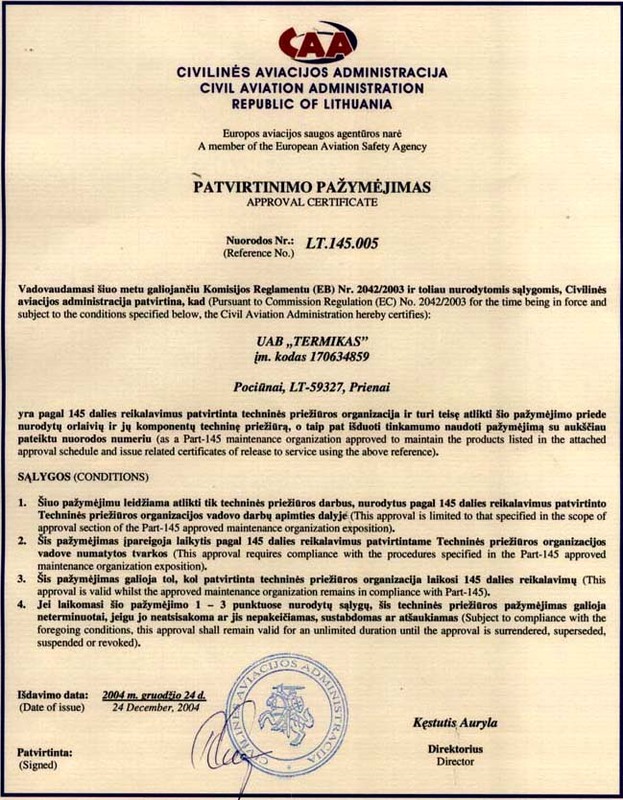 Non approved overhauls are being carried out at various sites in Russia and Lithuania with NO control whatsoever from the relevant Civil Aviation Authorities whose register is being used. These aircraft are filtering into the West, be warned. Ask for documentation of the overhaul. If it is not supplied, draw your own conclusions. A “paint and paper overhaul” may look an attractive price at time of purchase but the costs for continued airworthiness and certification will be extremely high. We also supply our competitors with aircraft and parts. Yak UK was the first company to import and operate the YAK 52 to the West. We have supplied more aircraft than our second and third competitors combined world-wide. Our reputation is in our unsurpassed quality of aircraft and after sales maintenance support. We are also able to supply the upgraded M14P to 400 hp engine at reasonable prices (3,500 EUR kit price) or as a licensed (Russian, Lithuanian or British) built engine. Apart from YAKOVLEV & AEROSTAR (The YAK 52 manufacture.) 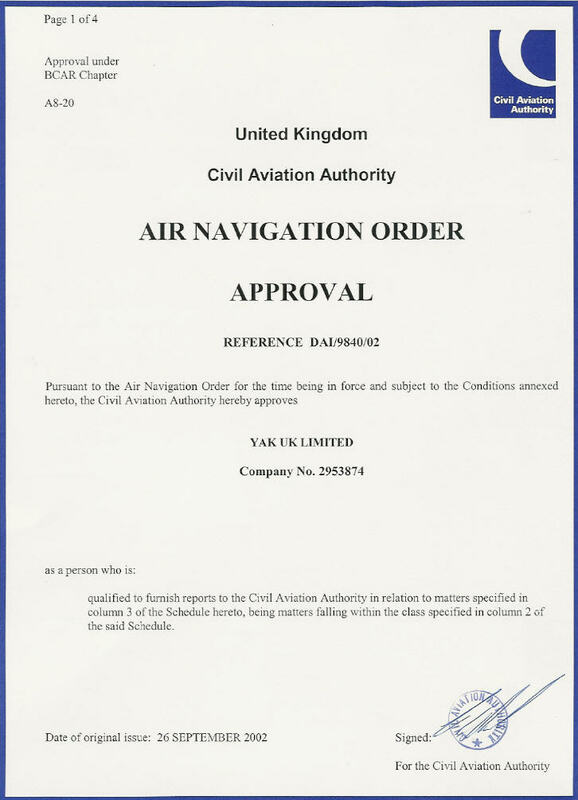 we are the only company with fully licensed documentation and approvals to overhaul the YAK 52, to original factory specifications, thereby meeting the stringent UK Civil Aviation Authority requirements for certification. Our works are also recognised by the military of the Ukraine, Belarus, Kazakhstan and Lithuania (with whom we have continuing contracts). Because of our specialisation in the YAKOVLEV series of aircraft, we are proud of our vast expertise.